When Dami’s son was younger she observed how content he was being outdoors needing very little ‘stuff,’ less conflict and more engaged. There was no where that provided what she new would be perfect for him so she set about creating SWK. Dami is thoughtful, caring and compassionate. She supports the team to keep her dream growing. Sarah is a fountain of knowledge, she has a deep understanding of all the ‘why’ in child development and learning. She is gentle, nurturing and cuddly. Putting her absolute all into everyday. Sarah loves silly songs, good strong coffee and creating crazy games. Jess is our eco angel! She knows everything there is to know about recycling and reusing. She is super duper at crafty creations, mending and making. Jess has the giggliest of giggles, she loves a good dance and a bottom wiggle! Jess is level headed, kind and playful. Ellen is a creative soul with artistic skills! Have you seen our cabin door artwork? Ellen did that! She has a calm, thoughtful and gentle manner with children providing our youngest attendees with the nurturing environment with close adult attachments they need to thrive. Lindsey has years of outdoor education experience under her belt meaning she has great skills and confidence in teaching children tool use, making things out of wood and even dry stone walling. She has an in depth knowledge and understanding of children’s development and believes in a more natural, child led approach to education. An experienced practitioner with a passion for outdoor environments and designing outdoor play spaces Jane brings a fun dynamic to the team! Ines was born in France and has traveled and worked all over the world, with a passion for climbing she settled in Sheffield and hasn’t looked back. 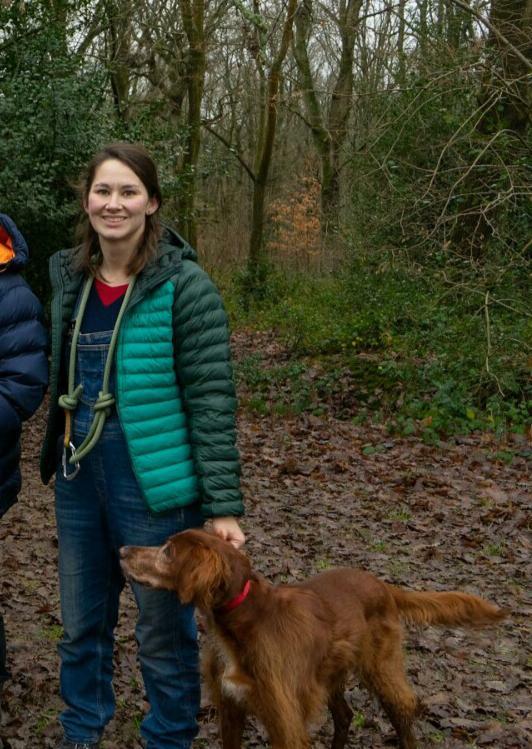 Jo has worked for many years in outdoor education and more recently within schools with SEN pupils, now that she has her own child she is persueing an interest in early years education - the foundation of all humans! Becca has experience working in a 1:1 SEN role supporting children in schools. She has previously worked as a children's yoga teacher which is an activity our children love to do! She has traveled and lived around the world originally being from Australia and has a huge passion for the outdoors.